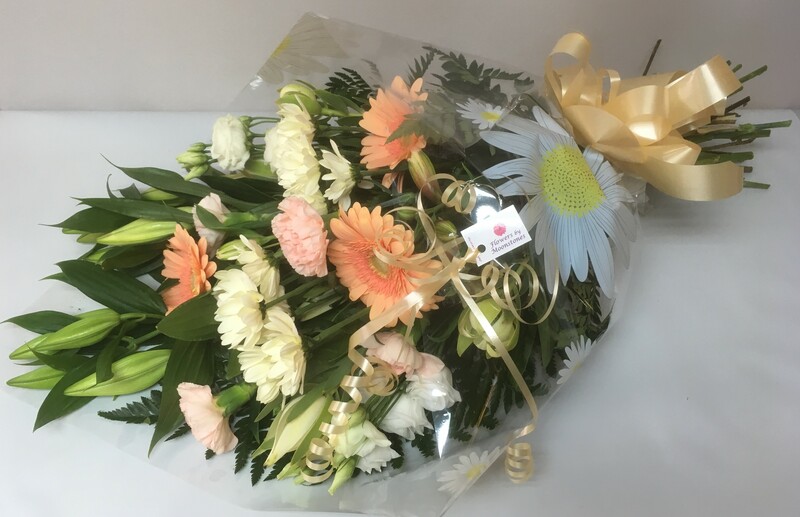 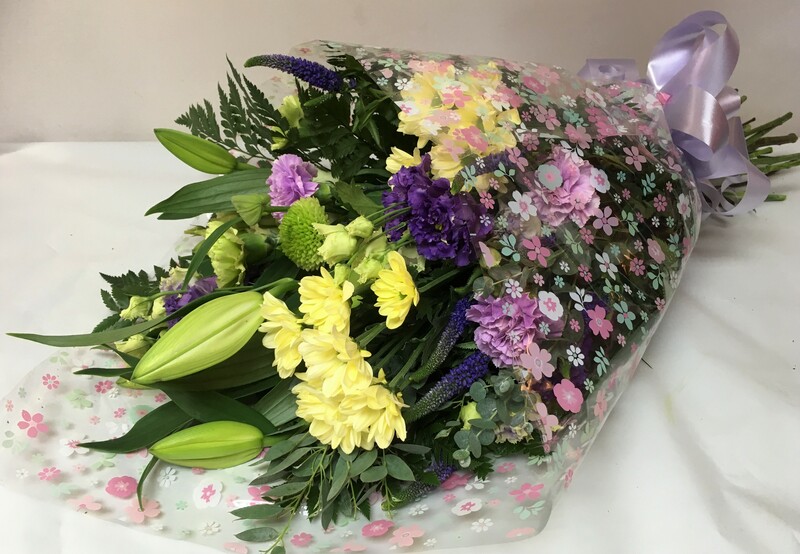 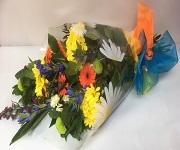 This is one of our most popular bouquets made with mixed flowers in shades of orange, purple and yellow; it is sure to brighten anyone's day. A delicate selection of mixed seasonal flowers in peach and cream shades. 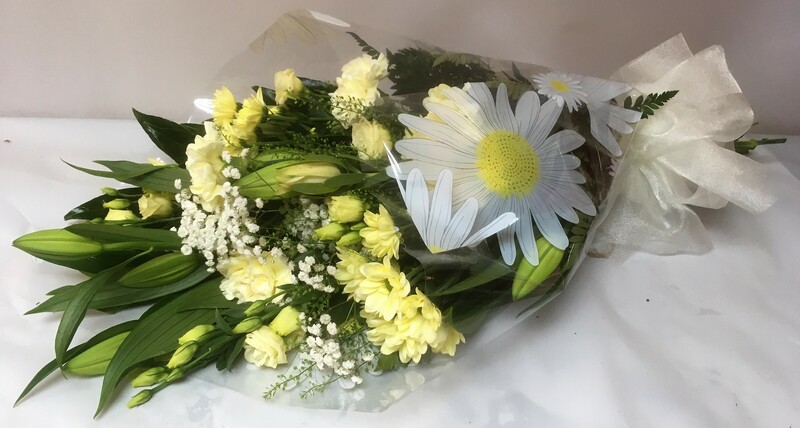 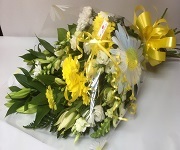 A gorgeous bright and cheerful selection of mixed seasonal flowers in yellow, cream and ivory. 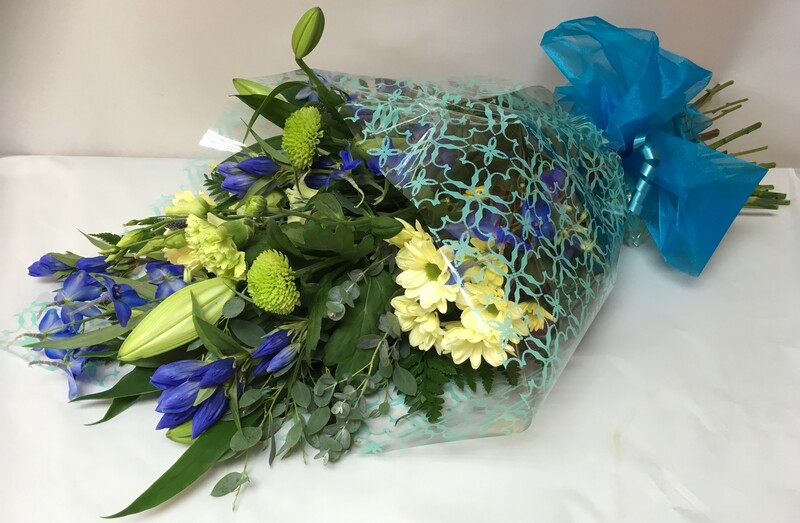 A mixed seasonal flower bouquet in shades of cream and blue. 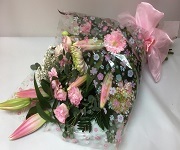 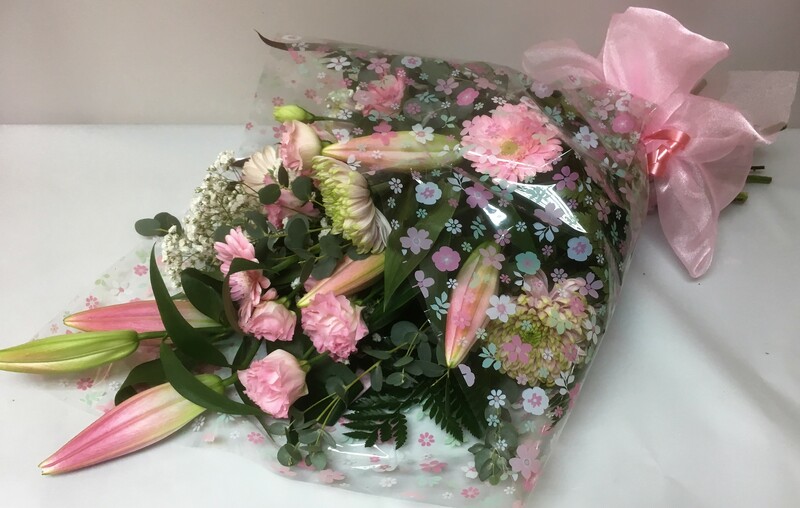 A traditional style bouquet of mixed seasonal flowers in varying shades of pink. 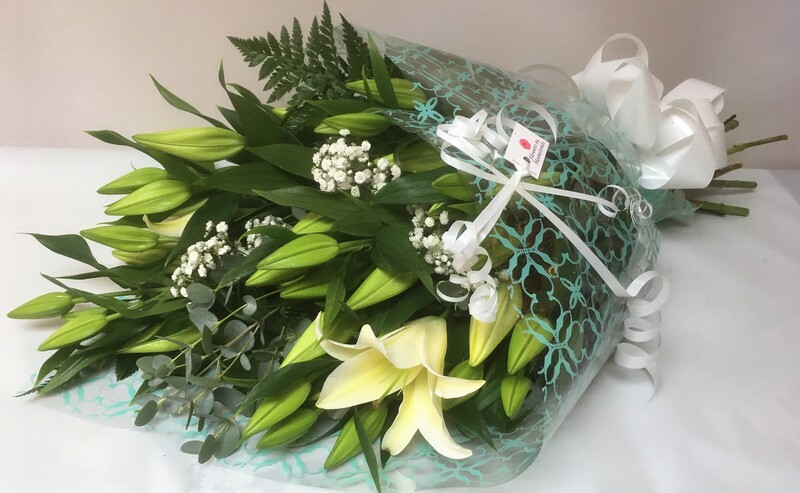 A bouquet of lilies with foliage to complement; please state your preferred colour. 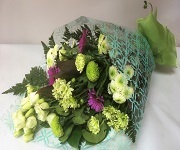 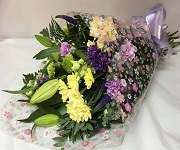 This mixed seasonal selection of greens and purples is a very popular choice. 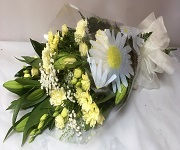 A delicate selection of cream shaded mixed seasonal flowers.